In Turkey, the state of emergency declared by the Erdogan regime following the coup attempt last year is still in full force under the pretext of “the fight against the coup plotters”. Government decrees issued so far have made clear that this “fight” was not limited to the coup plotters, but rather, since Erdogan called it a “god sent opportunity”, the state of emergency is being used to realize a counter-coup against the progressive, democratic and revolutionary forces of the country. 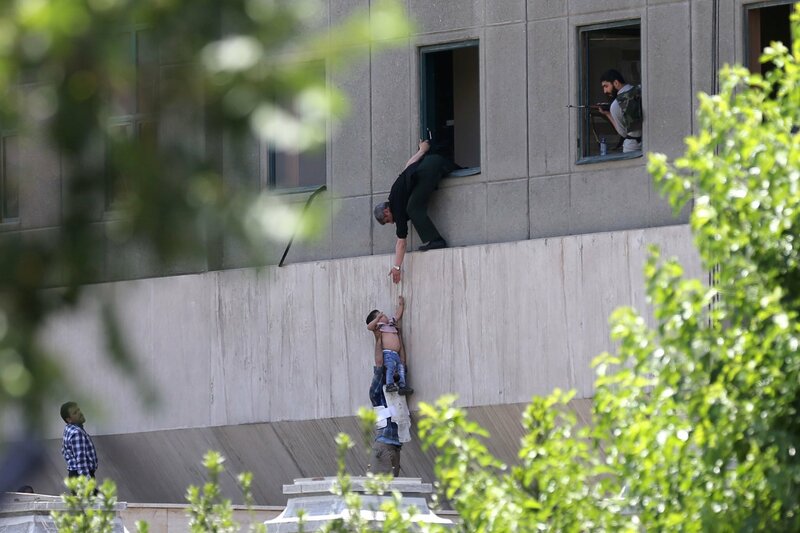 It is obvious that Erdogan regime wants to normalize the state of emergency or keep it at least until the presidential regime is fully established, as it gives thim freedom from accountability, to legitimise his arbitrary actions. As European members of the ICMLPO, we demand the annulment of the government decrees issued as part of the state of emergency, which caused the dismissal of five thousand university lecturers and hundreds of thousands of people, the arrest of tens of thousands of people and the closing of dozens of newspapers, journals, TV channels and radio stations. We declare solidarity with the struggles of the democratic forces of Turkey who demand an end to the state of emergency, and engage ourselves in campaigns to achieve this. The long campaign for the first round of the presidential elections ended with the qualification of E Macron and M Le Pen. Despite the strong injunction to go vote, abstention is 20%. In this figure, there are those who wanted to express their refusal of the system. 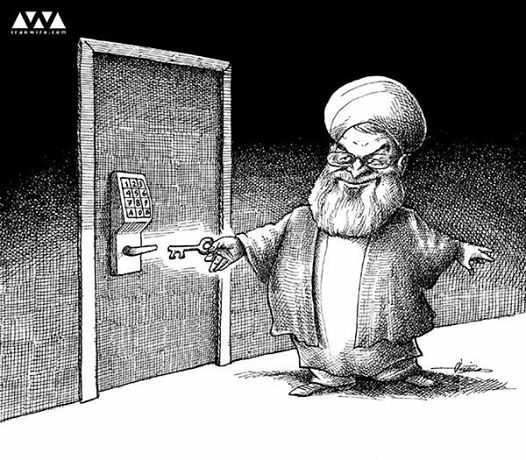 This is the position that we have defended and implemented. The gaps between the top four candidates are reduced: they get between 19.5 percent and 24 percent of the vote. This shows the narrowness of the electoral base of the two candidates that remain in the running. The mass rejection of the representatives of the two parties that have governed for more than forty years, Fillon for the right and Hall for the PS, is one of the highlights of these results. The slap is particularly severe for the PS that has already exploded. The media favorite, receiving supports for the oligarchy, E Macron, arrived at the top of the first round, in front of M Le Pen, who has the highest electoral score of the far right. A significant number of voters wanted to translate, through voting for the candidate of France L’insoumise, JL Mélenchon, their opposition to neo-liberal politics and the PS. This potential of resistance, such as expressed through the vote in favour of P. Poutou or N Artaud, as one who spoke for some in the ‘white’ vote or abstention, must engage in social struggles that have not ceased. Because the class struggle, at the national and international level, does not bend and doesn’t come to the calendar and election dates. The far right is a map of the oligarchy: map of the division of the labour movement and popular, of racism, of neoliberalism camouflaged under a speech of demagoguery social and nationalist, the politics of war. Macron, the candidate displayed the oligarchy, the supporter of neoliberalism, of the uberisation of the society of European defence, NATO… is not a rampart on the far-right. That is why, we refuse to bend to the injunction to the trailer of the Macron candidate and we call for abstention in the second round of the presidential elections. These presidential elections, based on a customization with excess of political combat, will lead to the designation of the one who will manage the interests of french imperialism. The urgency is to organize and to fight, to confront, to defend the interests of workers and popular, to combat the neoliberal policy, against the police state and the policy of war that Macron will amplify. 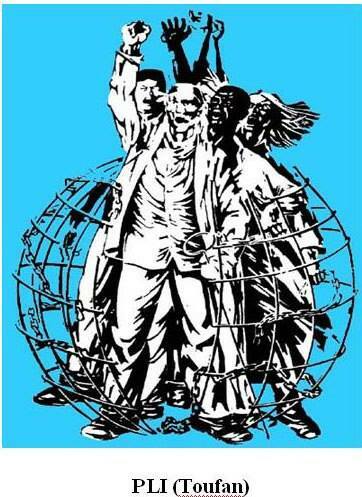 To develop solidarity with the peoples struggling for their national and social emancipation. 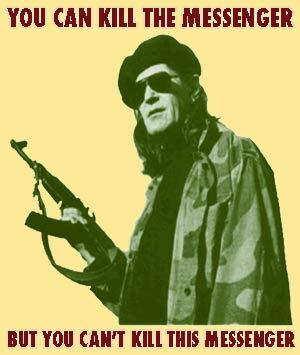 Against the reaction and the war, for a revolutionary break! 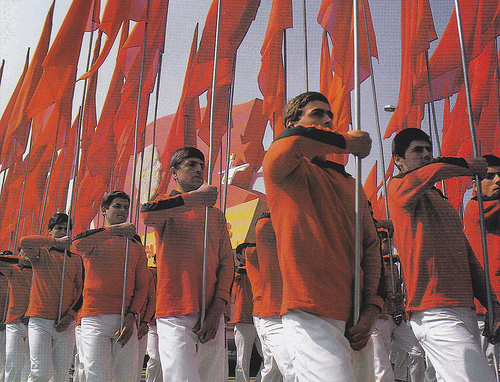 LET’S RAISE THE FLAG OF THE PROLETARIAN INTERNATIONALISM! 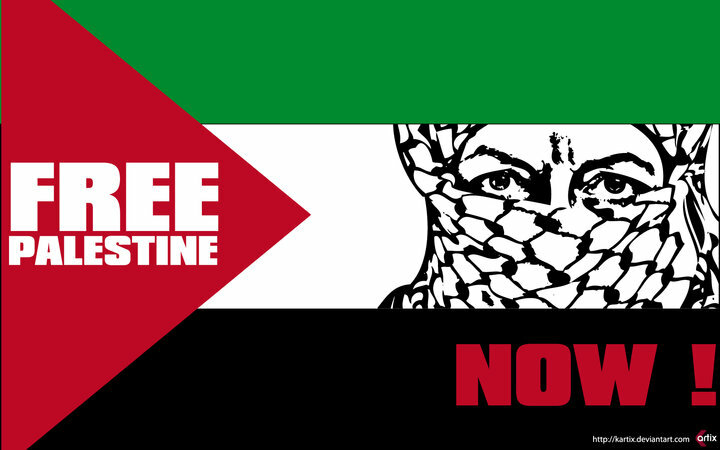 Workers, labourers, young people, women and oppressed people of all countries! The long period of poor economic growth and the increasing political instability bring out more sharply the contradictions that lacerate the capitalistic world. 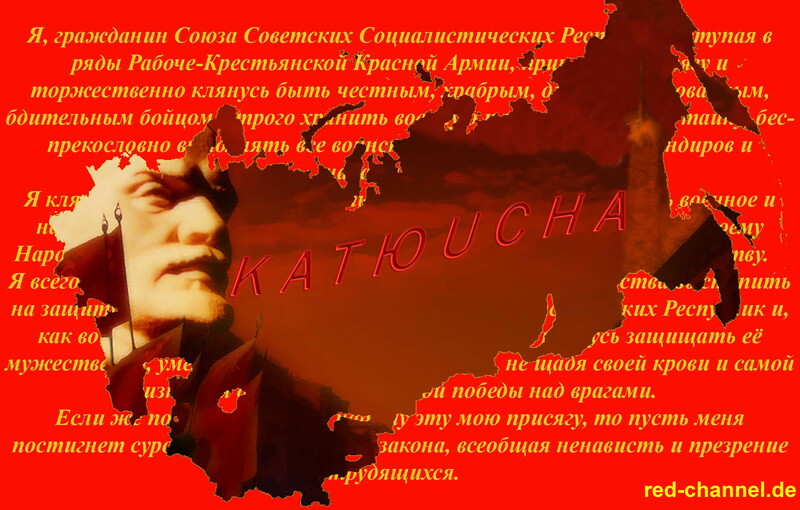 – The strengthening of the struggle for the markets, the protectionism, the commercial and currency disputes, the emergence of nationalism in the economic politics that embitter the problems among the imperialists and capitalistic countries, especially between USA, EU, China and Russia. – The intensification of the policy of war, the increase in military expenditure and the arms race. 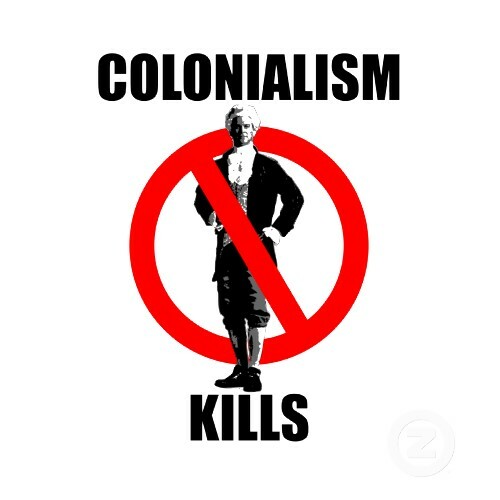 The imperialist powers and financial monopolies, in fierce rivalry between them, advance in the pillaging of resources of dependent countries. The possibility of a new World War is stirring in the Middle East. In Syria these contradictions are manifested clearly, and in the Asia-Pacific regions the imperialist arms stocks are piling up. – A fierce bourgeois offensive against the working class and the labouring masses, to burden them with the consequences of serious economic difficulties. The capitalists and their governments intensify the exploitation, attack the organisation of the workers, destroy their democratic rights, criminalise social protests and repress fighters of the proletariat. – The rise of political reaction and authoritarianism, limitations of bourgeois democracy, increasing of corruption in parties of the dominant classes, the drift towards Police States under the pretext of fighting terrorism and, in some countries, the access to power of extreme right and fascists. – An infamous ideological campaign by the most reactionary sectors of bourgeoisie that spread chauvinism, racism and hate against migrants; religious fanaticism, in order to deceive and divide workers and peoples, and strengthen the dominion of capital. – The deep crisis of social democracy, social propping of capital, with a great loss of consents, while the populist parties gain the impoverished and disappointed strata with their cynic “social”demagogy and false patriotism. The bourgeoisie, condemning billions to poverty, hunger and unemployment attempting in this way to delay the inevitable end of its system, imposes neoliberal and reactionary regimes, destroy the environment and prepare new imperialist wars. But the proletariat and the peoples do not give up, they resist and fight! In the world more and more numerous are the grounds of struggle against capitalistic exploitation,imperialism, its lackeys, its governments and parties. The growth of mass dissatisfaction and resistance against dominant cliques pave the way for new revolutionary waves. Let’s unite and demonstrate on May Day -day of international solidarity of the proletariat – demanding work, health, education, social services, equal wage for equal work, equality of rights for all the workers! No more unemployment and precariousness! Let’s demand the reduction of working hours and of the retirement age! 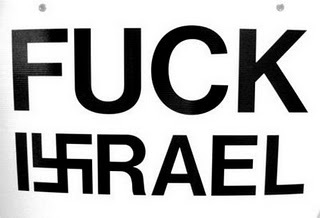 ‘No’ to war and fascism, take our countries out of the warmongering alliances, away from the power of the advocates of war, let’s struggle for peace and freedom for our peoples! 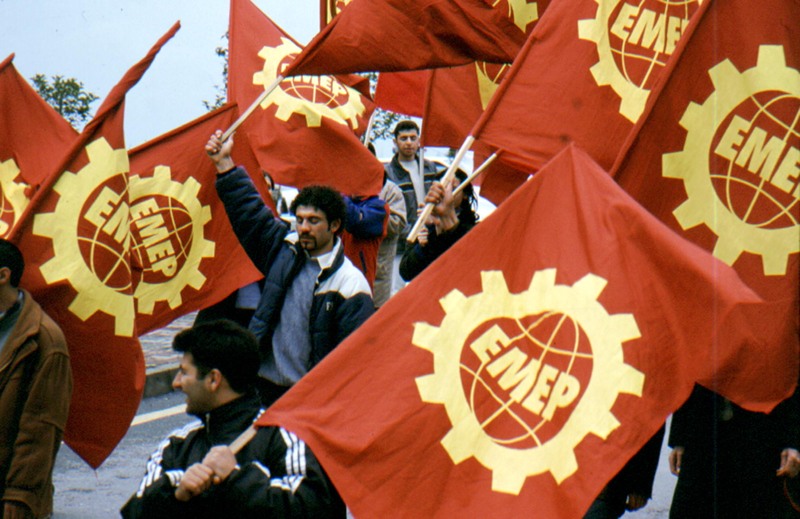 Let’s give impetus to the united front of the working class to defend our economic and political interest and to continue the struggle until the demolition of the capitalist exploitation and oppression. Let’s denounce and oppose the policy of class collaboration promoted by the leaders of social democracy and the trade union bureaucracy, let’s develop the line of organization and the class struggle to mobilize the masses against capital. It’s necessary to build a broad popular coalition, leaded by the working class; to organize and develop the resistance against the capitalistic offensive, the imperialistic reaction and the politics of war; let’s struggle with the perspective to get it over with the exploiters. It’s necessary to unite the antifascist, anti-imperialist and democratic youth to conquer a future radically different from the one that capitalists and their opportunist servants want for us. 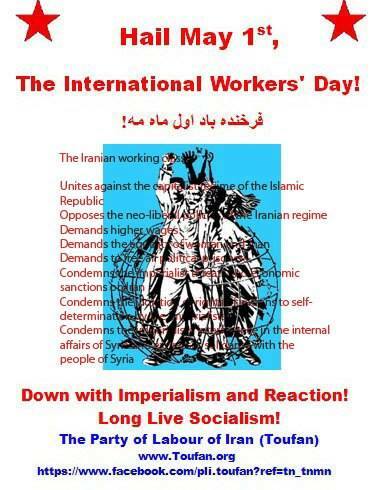 Now more than ever we must strengthen and develop internationalist solidarity to struggle incessantly against bourgeoisie governments, to get together, to unite the proletariat and the oppressed masses of all countries in order to knock down the common enemy: imperialism! 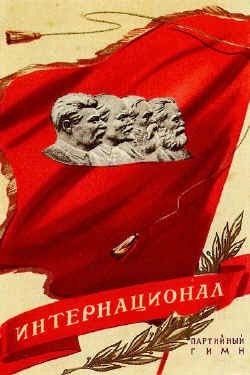 On May Day everybody get out on streets with our red flags! A scandalous electoral fraud is under way to ignore the popular will expressed today at the polls. The CNE, a few minutes ago, officially gave the victory to the candidacy of Lenin Moreno with 51.07% of votes. We DO NOT RECOGNIZE these results, they are the result of a fraudulent action. 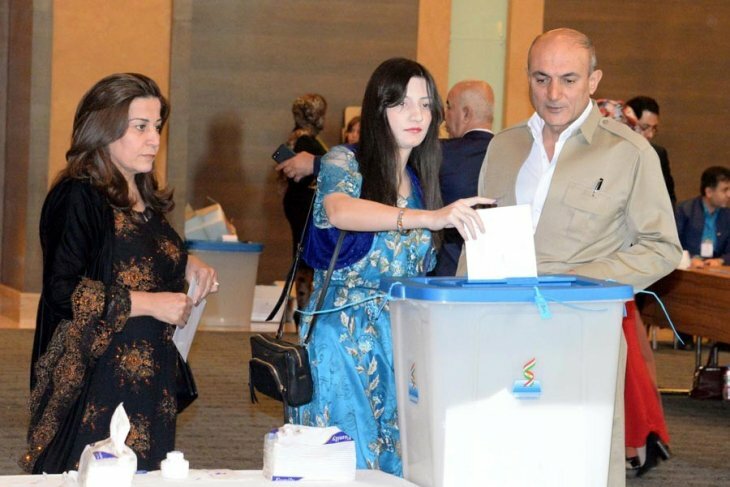 It is not possible to proclaim official results with “94% of the ballots counted” but, above all, this scrutiny has been done without transparency: the citizenship has not been able to keep track of that process because they hid the information by disabling their website. Other elements, such as the exit poll of Citizen Participation, were already raised in the previous communiqué. In addition to not recognizing these results, we must demand that a vote-by-vote count be produced for each of the polls. We insist on mobilizing all our forces to respect the popular will and to reject fraud. 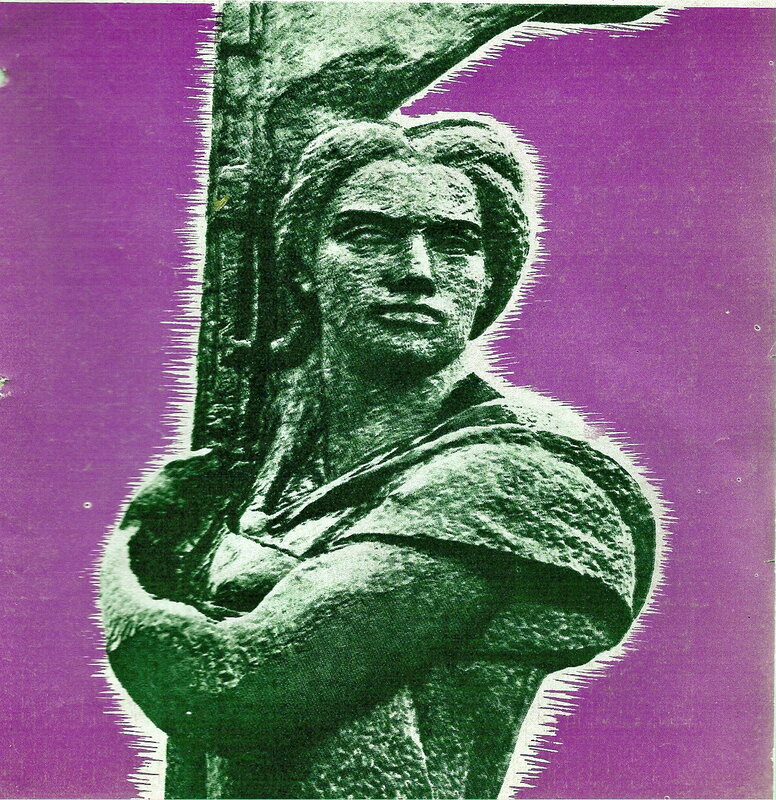 The founding of the Communist Party of Colombia Marxist-Leninist was the culmination of a process of political differentiation that allowed a significant contingent of principled revolutionaries, in the early 1960s, to draw lines of demarcation with reformism, pacifism and Khrushchevite revisionism, which were dominant in those years as the main lines of political action of the organizations that, at that time, made up the people’s camp. It was a time of great economic, social and political tensions. At that time, in the world, the inter-imperialist confrontation between the US and the so-called Soviet Union resulted in a “Cold War” of great dimensions that was devastating for the life of continents. At the same time, the revolutionary struggles raging in Vietnam,* in the Congo** and in different countries, and the revolutions in China (1949) and Cuba (1959) had a great influence on us. And in 1948, our country was the scene of a tragedy: after the assassination of Jorge Eliecer Gaitan on April 9, 1948, the Liberals and Conservatives unleashed a civil war, which they used to try to bury the democratic aspirations of the people. 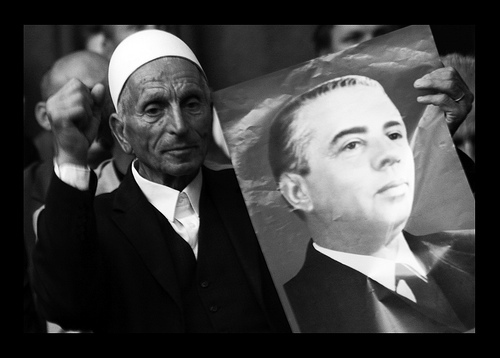 In 1958, they pushed though a referendum by which the two parties would alternate in the government for a period of 12 years, with a strictly equal distribution of public offices, including ministries, institutes, elected bodies and the judicial system. 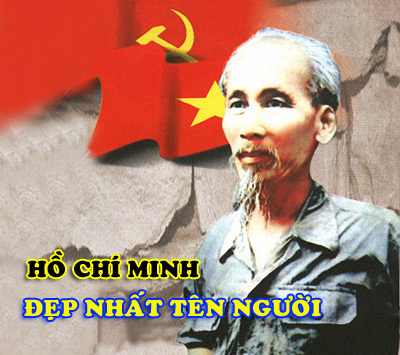 * The military coup fostered by the U.S. against Ngo Dinh Diem, President of South Vietnam, in 1963, and the massive bombing subsequently ordered by U.S. President Lyndon B. Johnson against North Vietnam in 1964, were the beginning of a long period of war in that country that lasted until 1975, when the United States was decisively defeated by the anti-imperialist forces and forced to leave the country. 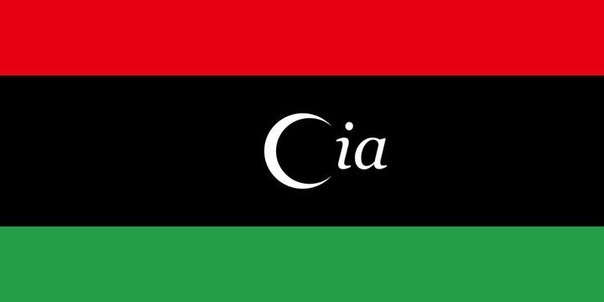 ** The world will not forget the assassination of Patrice Lumumba, Prime Minister and independence leader of the Congo, on January 17, 1961, in an action carried out by the CIA and putschist Colonel Joseph Mobutu to further the interests of U.S. multinationals in that country. 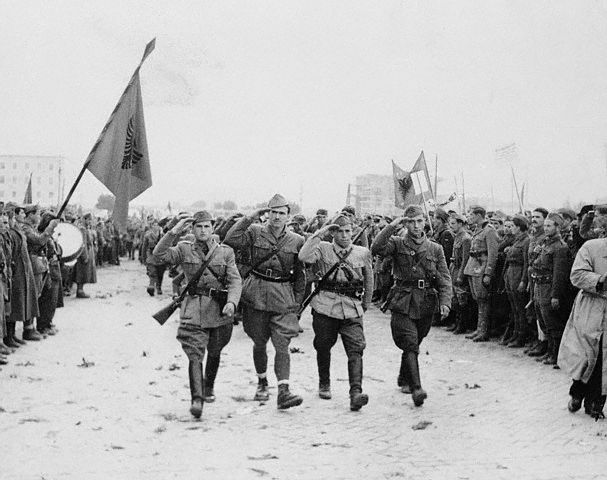 This was how the so-called “National Front” was born, that the traditional parties imposed as a strategy: on the one hand, to make the guerrilla forces surrender, forces that had evolved from liberalism to the defense of anti-imperialist ideas, and that were expanding strongly throughout the country, thus endangering the power of the bourgeoisie and landlords. On the other hand, to impose a bipartisan system of government and political control that excluded the constitutional and legal possibility that other political forces would arise or that parties other than the Liberals and Conservatives could take office even if they obtained the majority votes as required by law. The widespread repression, the constant bombardment of the guerrilla zones*, the assassination of trade union, social and political leaders marked a regime of terror that also spared no effort to use the carrot of populism to re-legitimize the ruling classes in the country. * Also called “Red Zones”. From the economic point of view, this urge to re-legitimize the ruling classes was in clear accordance with a model that called for protecting the prices in the coffee industry from collapse, promoting the export of non-traditional products, especially industrial products, improving productivity, expanding industry, expanding State capital through the construction of infrastructure in roads, energy and public services. The future of the country, amidst a rather complex economic, political and social reality, as well as the program and role of the various political organizations, were the topics of great controversy that galvanized the revolutionaries of that time. But to be able to move from such debates to transformative political actions necessitated an ideological and political unity and/or identity that could only be built by deepening the ideological struggle and practical commitment. In the Communist Party of Colombia*, especially since its 5th Congress held in 1947, the target of the ideological struggle included the theses of Browderism, defended first by Augusto Duran**, the leader of the port workers and until then General Secretary of the Party, and then by Mr. Gilberto Vieira White*** who, like his predecessor, did not hesitate to propose a rapprochement and unity with those sectors of the bourgeoisie that they considered democratic and/or progressive, as a condition to advance and defeat the reactionary sectors present in the State and government. 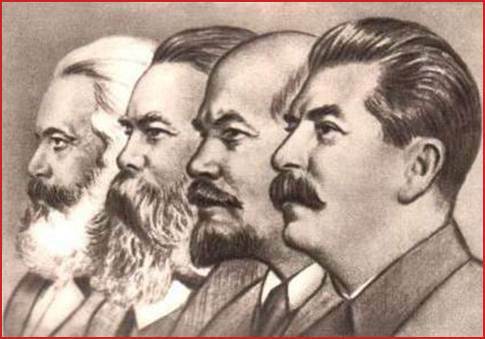 That line was initially the perfect excuse invented by these gentlemen to adopt a policy of collaboration with the bourgeois governments of that time, in effect making the Communist Party an appendage of the tactics and strategy of the traditional parties. It is undeniable that they laid bare the true content of the calls for coexistence and cohabitation with the establishment that this organization had promoted since the 1940s. * In 1979 the party changed its name, coming to be called the Colombian Communist Party. 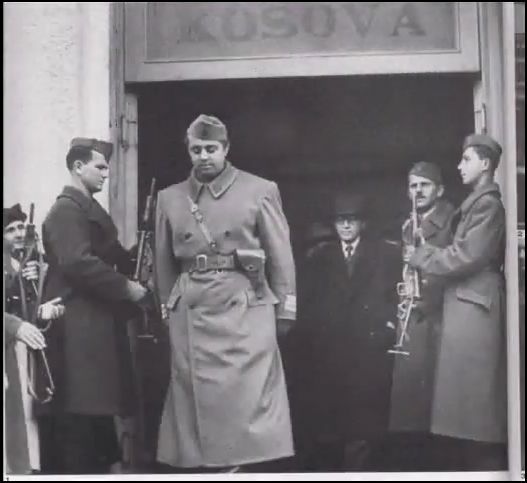 ** Augusto Duran was elected General Secretary at the 3rd Congress of the PCC held in 1938; like Browder he promoted changing the name of the party, calling it the Democratic Socialist Party (PSD). 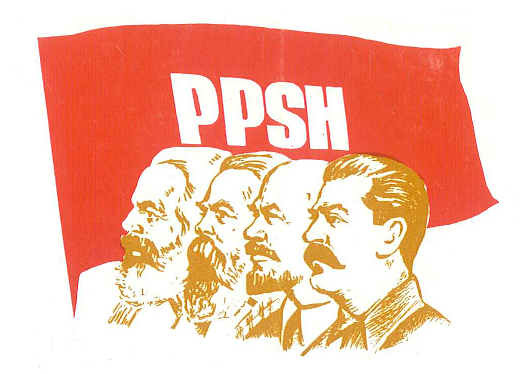 The PSD was characterized by a reformist political line that supported the government policies of that time. So backward was the policy promoted by this political leader that he even opposed the entry of intellectuals into the Party. 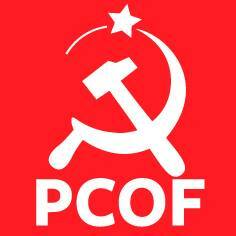 *** Gilberto Vieira White was elected General Secretary of the PCC at its 5th Congress in 1947. It should be noted that the consistent leaders promptly rejected that line of conduct of the leading clique of the Communist Party of Colombia, and maintained the clear idea of transcending and demarcating lines with Browderism, making a great effort to provide the Colombian working class and people with a really Marxist-Leninist organization. This would really confront imperialism and the bourgeoisie, which are truly responsible for the dependence, backwardness, marginalization, poverty and lack of rights existing in the country. The ideological struggle also targeted the Bernsteinian theses that promoted parliamentarism and electoral participation as the only way to achieve power. Both imperialism and the bourgeoisie knew that these positions, promoted by the agents of revisionism and social democracy internationally, were an immense support for them. 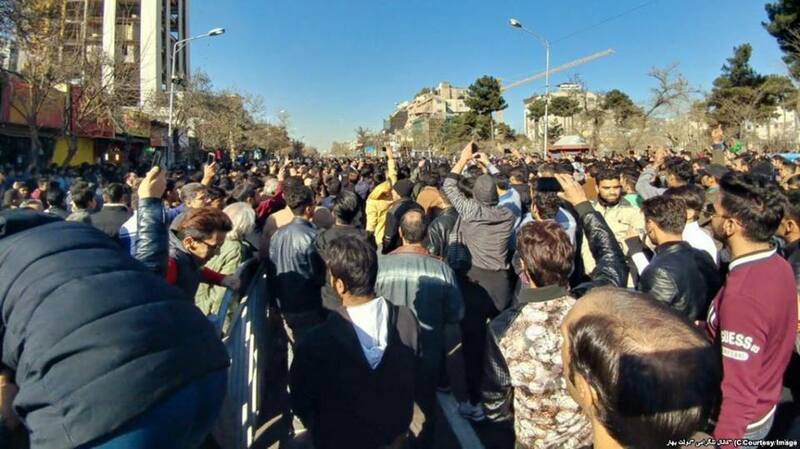 In that sense, they did not hesitate to protect and provide advantages to the organizations and leaders who defended those positions, claiming at the same time how anti-historical and counterproductive for democracy and the development of countries are revolutions through violent means. Our history knows of the shameless work that most of the leaders of the CTC* and UTC** developed. Together and in very close collaboration with the various factions of the Liberal and Conservative parties, as well as the Catholic Church, they maintained that evolution by means of trade unionism and peaceful political action were among the most consistent actions to eliminate class privileges and ensure equality among individuals. * CTC: Federation of Colombian Workers. ** UTC: Union of Workers of Colombia. To these positions, one must add those of the Declaration of Havana of 1960. The Communist Party of Colombia, a signatory and promoter of that declaration, accepted its positions as a general line on the struggle for world peace, the coexistence between capitalism and the countries of the socialist camp, the peaceful transition from capitalism to socialism and the seizure of power by the parliamentary road. Revolutionaries both inside and outside the party made many criticisms of it, insisting on pointing out the relevance of combining all forms of struggle, the role of violence as the midwife of history, and the leading role of the masses in social change, principles that are broadly expounded by Marxism-Leninism. The ideological struggle also targeted the internal life and its rules. Matters of great importance did not escape the debates, such as the character of the organizations, the admission requirements, the organizational principles and the role of different organizations. 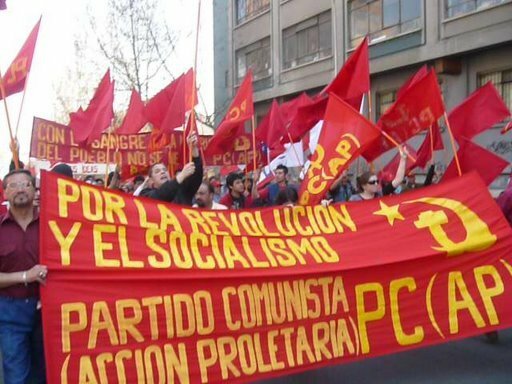 Democratic centralism had been adopted as a principle and backbone of the Communist Party of Colombia since it was founded, in 1930 as a section of the Third International (Comintern). But this had become notoriously only a formal matter in the party, since the latter had become a debating society, deprived of any revolutionary spirit. 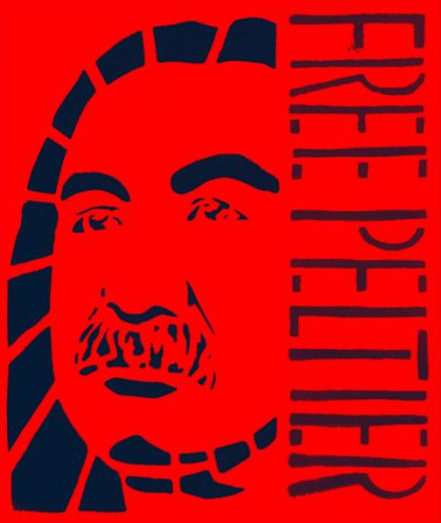 In many of its documents, “freedom of criticism” was confused with “ideological and political pluralism” and was advocated by those who supported the coexistence of various points of view within the party. In this scenario, we could point out many other aspects of the political discussion of that time, about which it is important to remember many other points of view. 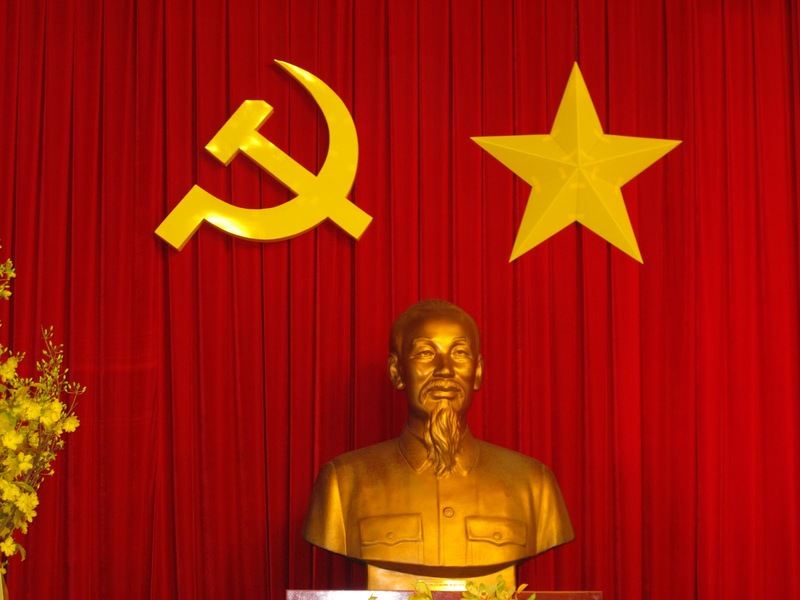 Besides the above-mentioned discussion, we cannot ignore the state of the forces of the Communist Party in the late 1950s and early 1960s, which was characterized by its unquestionable anachronism and state of decay. Motivated by the need to advance in the building of a vanguard organization, cadres and members of different organizations held wide discussions, in which they examined many proposals and projects of important sectors of the working class, the organized workers, peasants, students , intellectuals, youth and women, who were interested in achieving an accurate assessment of the national and international situation, of Colombian society, the State, the mass movement, the revolutionary movement and its perspective. All these aspects were analyzed without forgetting to stress the most important role to be performed by the real revolutionary forces, both at the national and international levels. The building of the Party was preceded by events that would be crucial to strengthen its ideological and political positions. In 1956, the Communist Party of the Soviet Union (CPSU) held its 20th Congress in Moscow under the leadership of Nikita Khrushchev, at which fundamental changes were introduced to the policies that were supposed to guide the International Communist Movement. 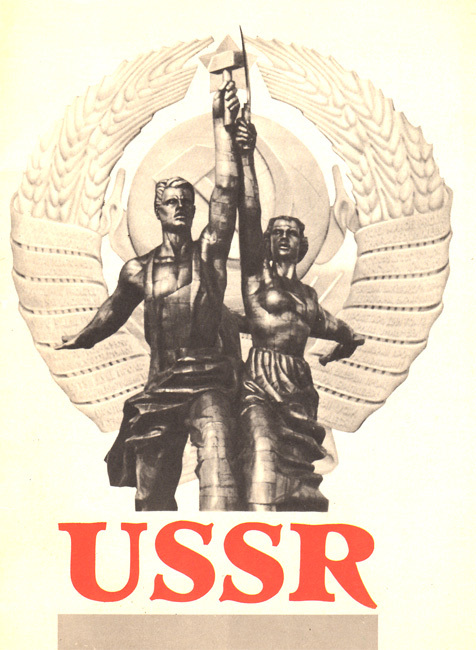 In a period in which imperialism, headed by the United States, rigorously imposed the policy and practices of the Cold War, the leadership of the CPSU decided that, due to advances of the Soviet Union, it was correct to transform the State of the working class into the “State of the whole people” and to convert the Communist Party into a “party of the whole people”. 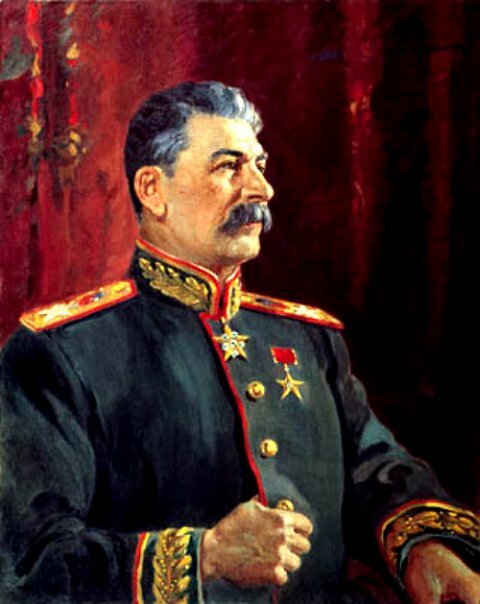 In accordance with these changes, peaceful coexistence, peaceful competition and peaceful transition were established as valid, thus invalidating at one stroke the practice of the class struggle. 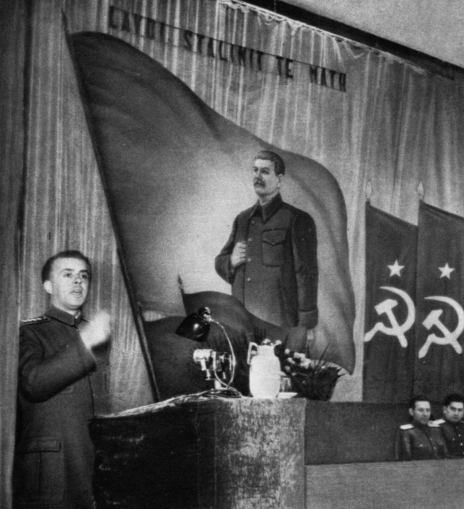 To promote these policies and practices, which were contrary to Marxism-Leninism, the leadership of the CPSU focused its efforts on sullying the contributions and work of Stalin in the building of socialism. For this reason, they accused him of fostering a “cult of personality,” trying to discredit him before public opinion. 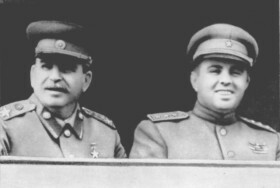 Some important documents of the 20th Congress against Stalin were dealt with in secret, which showed that the leaders of the CPSU intended to renounce the highest interests of the working class and to abandon the path of proletarian revolution. 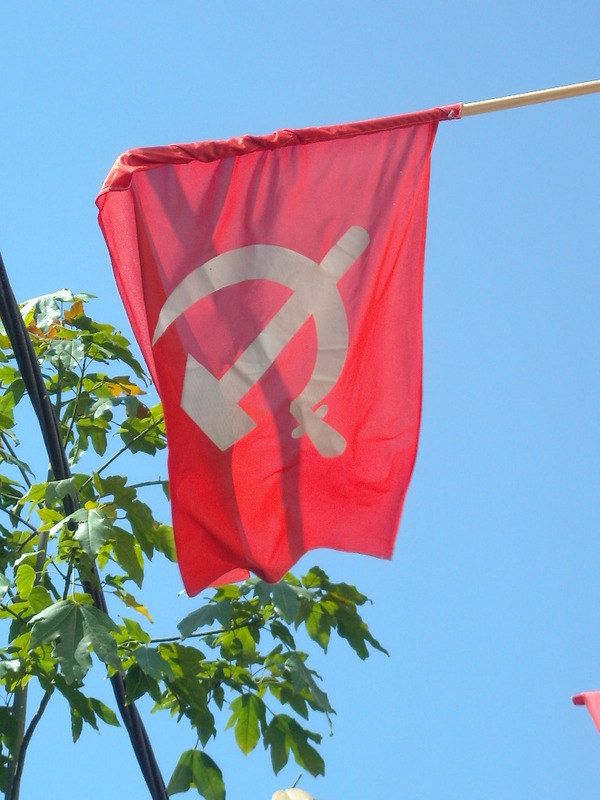 The conclusions of the 20th Congress of the CPSU caused a huge shock within the International Communist Movement and the Communist Parties; they stimulated debates on issues of great relevance, such as the prospect of the revolution and the role of the communists in the struggle for the achievement of the objectives of the working class. The depth of the contradictions caused an inevitable split, while various parties and leaders of the time waged an unwavering and courageous defense of the principles of scientific theory taught by teachers of the proletariat. As a result of the inevitable demarcation, the foundations for the building of the new International Marxist-Leninist Communist Movement and for the rise of Marxist- Leninist organizations in various countries were laid. In Colombia, the debate was pushed forward in order to clarify the true nature of the Party, the objective of the revolution and the role that communists must fulfill to realize it. 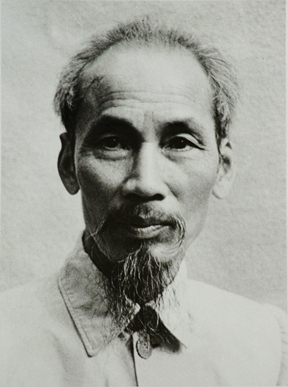 During this period, some of the cadres and members arose who made possible the building of the new Party. Pedro Vasquez Rendon had been a member of the Communist Party since the early 1950s and also a fighter with the guerrillas who were formed to defend themselves from the offensive that the government had unleashed against the people. 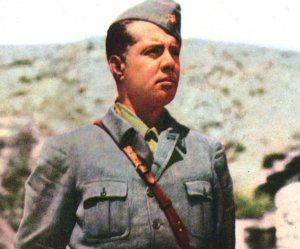 Incidentally, it was comrade Pedro Vasquez Rendon who gave Pedro Antonio Marin the name of Manuel Marulanda, after a course given at the School of the Communist Party in 1952. 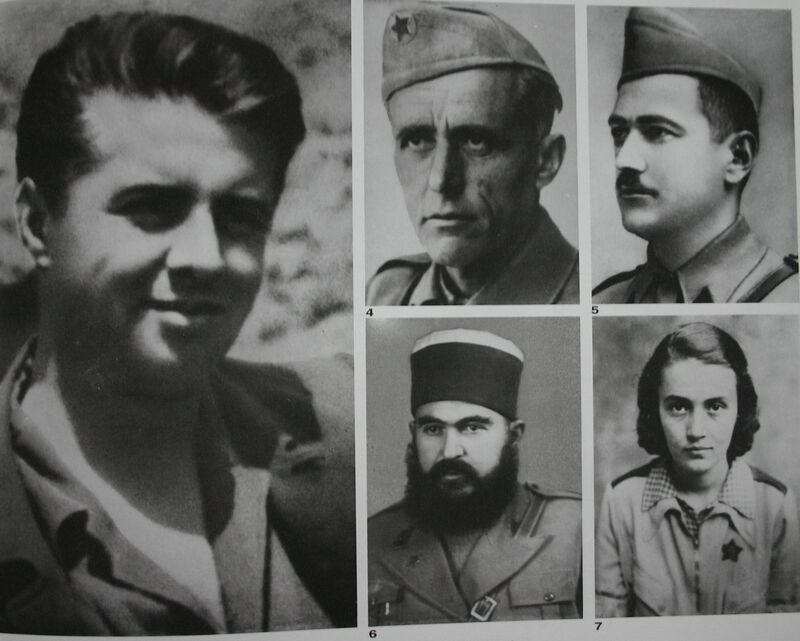 Other cadres of that period were Pedro Leon Arboleda, a philosopher and journalist; Francisco Garnica, a prominent leader of the Communist Youth, as well as Ricardo Torres and Carlos Alberto Morales, who were killed by the national army in Cali, after having been captured in Guacari, in the Department of Valle del Cauca. 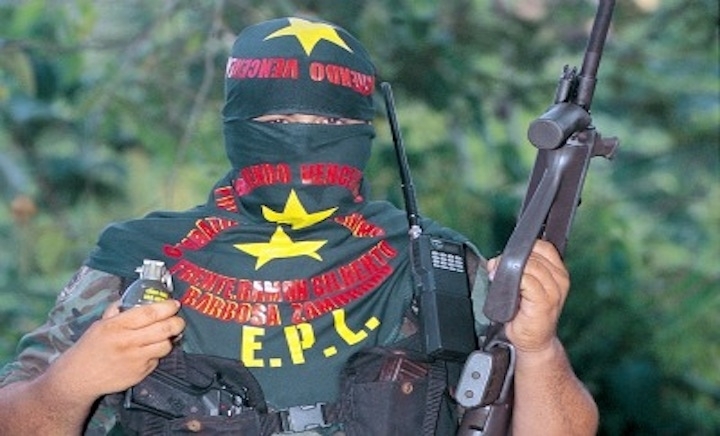 Libardo Mora Toro, a labor lawyer and also an outstanding athletic champion, was killed in combat as a leader of the EPL (Popular Liberation Army). It should be noted that other leaders of the Communist Party, and especially of the Communist Youth, more than 70% of whose members went over to the new Party, had been expelled by the revisionist clique of Gilberto Vieira White in 1962. These bases were fundamental in building the pillars of what would be the organization of the Party, which became a reality with the contributions and efforts of cadres who arose from the revolutionary struggle in different organizations. It is correct to state that leaders, cadres and selected members of almost all the forces interested in building a new society came together into the Party under the impulse of the working class and the leadership of the Party as its vanguard. It is of course impossible to mention them all, but it is worth remembering Elohim Grajales, a renowned economist and a socialist leader; Francisco Caraballo, a leader of the National Command of the JMRL (Youths of the Liberal Revolutionary Movement), Aldemar Londono, a doctor and social leader in the coffee zone, Bernardo Ferreira Grandet, among others. In the early 1960s, Colombia experienced a great revolutionary fervor resulting from the violence that affected society in the 1950s, the imposition of exclusive norms of the National Front and the need to fight for changes in the reality of the country. The objective conditions were ripe to present proposals, to go to the grassroots, to organize and mobilize them to participate in the different forms of the struggle. The subjective conditions for building the organizational structure were ripe to move forward. Therefore the decision was made to coordinate activities among the cadres who were able to build the new Marxist-Leninist party. In order to accomplish this task, in early 1964 a Committee of Integration of the Colombian Revolutionary Movements (CIMREC) was established, with a commitment to first hold the Constitutive Conference and then organize the Congress of the Party which, according to the plans, should be held within one year. * The Constitutive Conference was held in the municipality of La Ceja, in Antioquia, between March 5 and 8, 1964, with the presence of a great majority of delegates who reaffirmed their commitment to advance the building of the Party. 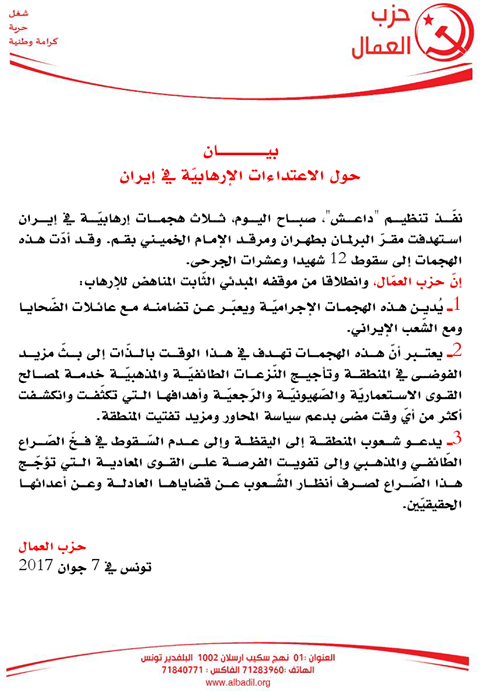 At the Conference a central leadership of 23 members was elected, the drawing up of the central documents was agreed on in order to organize meetings in different regions of the country and to promote discussion as well as the rules for the election of delegates to the Founding Congress. * Conclusions of the 10th Congress of the CP of C (M-L). July 17, 1965. The steps achieved made possible the consolidation of relations with other parties that were advancing in the same direction. 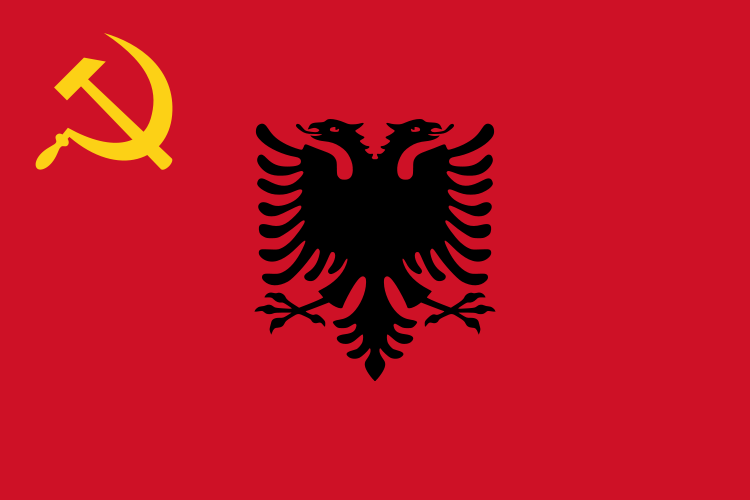 In the first place it is worth recalling the Communist Party of Spain Marxist-Leninist, with the unforgettable presence of comrades Raul Marco and Elena Odena; the Marxist Leninist Communist Party of Ecuador; and of course the Communist Party of China which, in that period, was in the forefront of the struggle against revisionism. 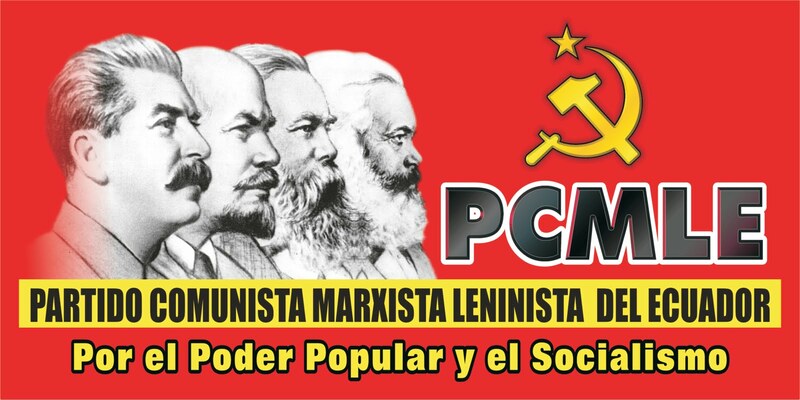 The Communist Party of Colombia Marxist-Leninist was founded on July 17, 1965, at the 10th Congress held near Bogota. It took up the principles of Marxism- Leninism as a guide for its revolutionary action, reaffirmed the class character of the Party as the vanguard of the proletariat, proposed as objectives of its struggles the patriotic, popular, anti-imperialist revolution on the road toward socialism and, as the way toward it, the armed revolutionary struggle, with the participation of the masses and under the political leadership of the Party. Consistent with this decision, the Party also took up the task of promoting the building of a Patriotic Liberation Front, looking to open the way to the unity of the people, that is, the worker, peasant and popular alliance. It is also decided to work for the building of its armed wing, the Popular Liberation Army, as an instrument to especially promote the armed struggle of the people and enable the Party to prepare the popular armed insurrection. Regarding the ideological struggle with the revisionists, the 10th Congress decided to raise the ideological and political struggle against this opportunist current, unmasking its collaborationist and conciliatory work with U.S. imperialism and the local bourgeoisie. “The battle against revisionism is not just one more task but a key part of our action. Today we are in a position to strike a severe blow against this traitorous clique that, two years ago, maneuvered to have the 10th Congress rigged with an absolutely unconditional representation. This Congress is the Congress of the Colombian communists. This Congress has to be the 10th Congress of the CP, which the Vieira clique had not been able to hold despite having called it for this year, 1964. This Congress should announce to the country that the Colombian communists have abandoned the opportunist leadership in order to take up the revolutionary path; it must prevent and hinder the revisionist attempt to further deceive the masses by taking the glorious communist name with impunity. This Congress will radically change the situation in the fight against revisionism; the explanations, rectifications, the desperate cries, will be of those who would try to prove the illegitimacy of our meeting, but those laments will find in front of them the formidable barrier of the revolutionary conclusions of our Congress. “To go against our Congress will mean to go against its revolutionary conclusions, and so the only thing that they would fully prove would be the kind of the cowardly traitors they are. 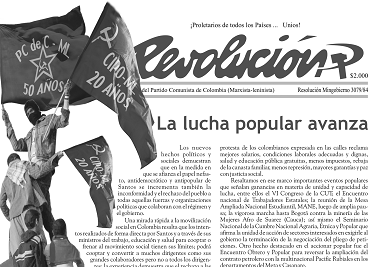 * Conclusions of the 10th Congress of the Communist Party of Colombia Marxist-Leninist. July 17, 1965. Today, just as yesterday, those who insist on saying that Marxism-Leninism has lost its relevance and that those of us who defend it are behind the times and lack a vision of the future are wrong; they have lost sight of the fact that what really failed was a false model of socialism that served as a step to follow a path toward capitalism, as the reality of present-day imperialist Russia has clearly shown. This project of the party, created over 50 years ago, still preserves its political relevance and today we have the honor of carrying the communist banner that the heirs of Khrushchev have lowered worldwide. 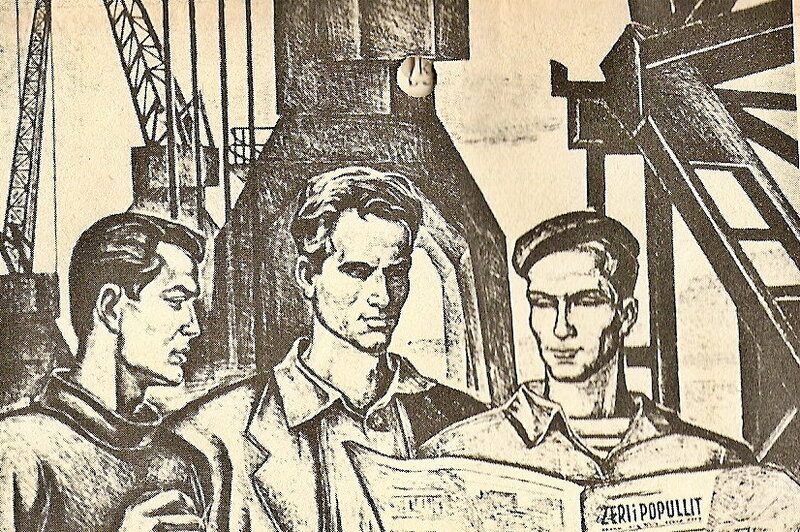 For the communists today, the defense of Marxism-Leninism as the fundamental guide for the revolutionary struggle of the working class remains a task of the highest order, without which the perspective of building genuine socialism is obscured. This is why we will continue as a Party to strive to steel our forces, strengthen our unity, grow and participate actively, without hesitation, in the different forms of the class struggle. At times when the social contradictions are being exacerbated and capitalism is showing its agony and inability to create development, well-being, social equality and freedom, the world bourgeoisie is reinforcing its offensive, opposing any change that threatens its interests and profits. That is why it insists on attacking Marxism-Leninism, ridiculing the socialist project and the communist future. The principal target of the bourgeois theorists and those who converted to their side at the last moment includes proletarian partisanship, which they are fiercely attacking, seeking its total elimination. There is no doubt that imperialism is pushing forward a multifaceted offensive, which combines strong ideological, political, organizational and military structures aimed at containing and defeating the resistance and struggle of the working class and peoples for their independence and self-determination. 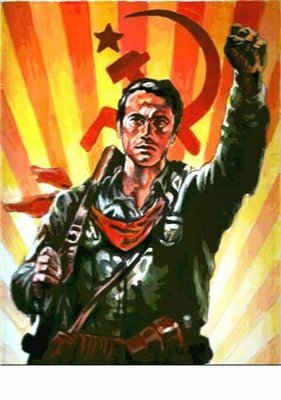 In this regard, we will continue to state that today, just as yesterday, we continue to take up the challenge of disrupting the offensive of imperialism and the bourgeoisie, of defeating their plans, a matter that calls on us to strengthen our parties, to show their importance and their historical and political relevance. In that vein, we Party members fully take up the commitment to hold firm the banners that gave origin to our Party. We are and remain staunch defenders of Marxism-Leninism, of its historical and political relevance, of the interests of the proletariat and the Colombian people. 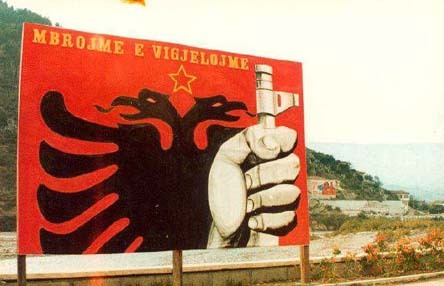 It is obvious that the policies adopted by the Party at its 10th Congress have undergone substantial changes; in fact, the reality that we face is not the same as that of the 1960s, but the political foundations that support our organization are intact and much stronger as a result of our combat and loyalty to the interests of the working class and the people. In December of 2011 we held our 17th Congress, and now we are preparing to hold our 18th Congress. What guides us is a current and relevant political line and program, subject to constant testing in the class struggle that highlights the important accumulated experience achieved by the Party. 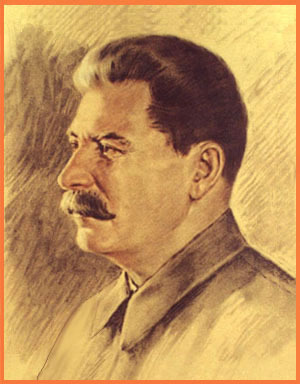 We face the challenge of accelerating the upward path, winning new positions in the class struggle, and therefore we see the need to strengthen our unity, steel our role, raise the initiative and link ourselves better to the masses with an approach that allows us to grow qualitatively and quantitatively. 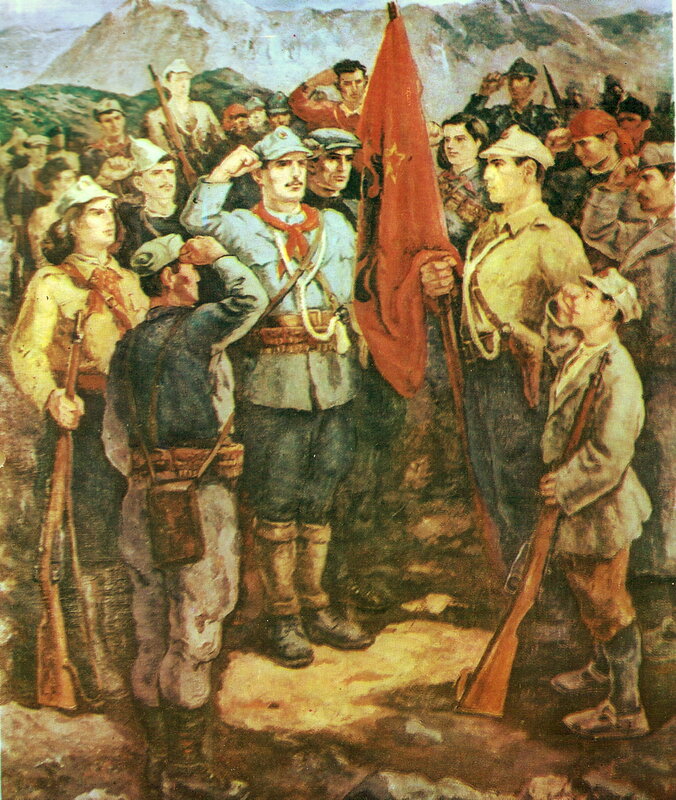 To rationalize our experiences and the experiences of our fraternal parties and of the revolutionaries of the world will undoubtedly contribute to the objectives undertaken that, rather than deny, will reaffirm our banners, our basic tenets, principles and the historical legacy that we communists of the world have in various spheres. We cannot ignore the fact that these have been 50 years of hard and tenacious struggle in all spheres, with important contributions to our revolutionary process, with a brilliant history of participation in the various scenarios of the national and international class struggle that are our heritage. Our history is based on the strength and conviction of the justness of our cause. This is the way the most outstanding leaders of our organizations have acted. Hundreds of leading cadres, members, fighters and supporters have stained the banner of the Party with blood in the struggle to crystallize its ideals. Many have gone and will go through harsh conditions of life and work in the prisons of the reactionary regime to keep unsullied their high communist aspirations. Without Messianism of any kind, but with deep convictions, the best tribute that we can pay to those martyrs and heroes, to those selfless fighters, is to stay firm on course to consolidate and develop the Party and the organizations that it leads. 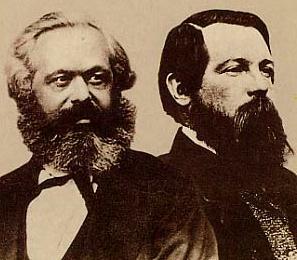 Communist thought maintains its solid foundations, and the world situation of today demolishes all the speeches that the bourgeoisie has advanced to bury its hated enemy and thus deprive the proletariat and the revolutionary classes of the weapon they need to destroy the capitalist system and “storm heaven by assault,” as Marx stated in regard to the Paris Commune. 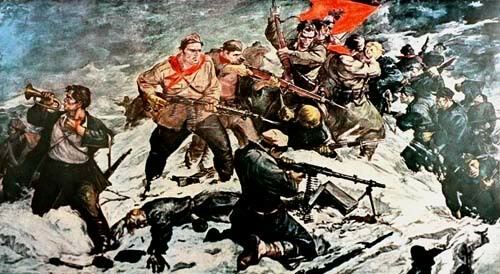 Marxism-Leninism is a theory able to achieve its own development, to assimilate the scientific advances, to renew itself without abandoning its nature and, on this theoretical basis, the members of our Party are convinced that the history of 50 years of struggle is not in its final chapter. To the delight of the bourgeoisie, many converts have tried to write the requiem for our organizations, with great shows of scientism, but the facts are more stubborn than the vain aspirations of the deserters. Here we are immersed in the class struggle and with our heads high we are defending the ideals of communism, of scientific socialism and of revolution. Many times they have given us up for dead and wanted to attend our funeral. However, despite our limitations, we are here. We represent a worthy and revolutionary point of view in the country. We have a structure and an influence in the mass movement. In contrast, all the factions that have attacked our Party have disappeared as political projects. 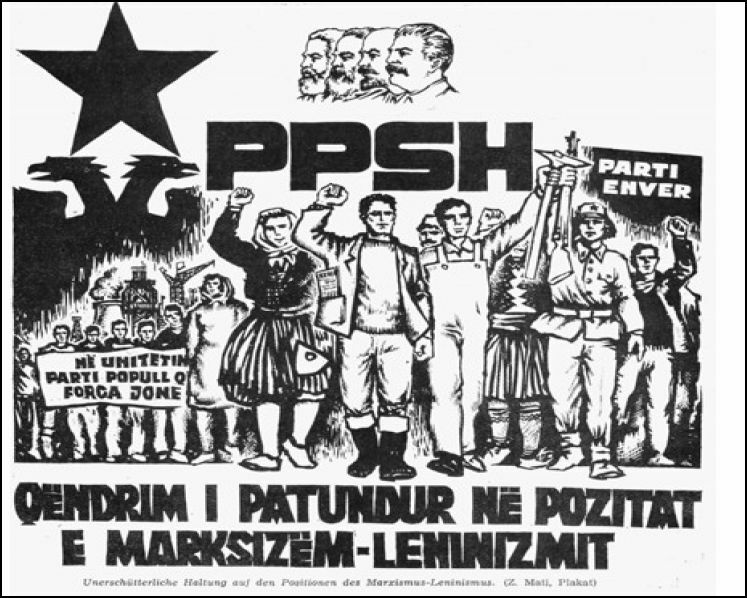 The “Hopefuls*,” who sold out the majority of the EPL, are now gone, dissolved organizationally and politically; they abandoned their base and cadres to their fate, they joined social democratic organizations or parties of the bourgeoisie, they did not come up with a different alternative for change in the country, as they had touted, and some of their members bear the shame of having gone over to the ranks of the enemies of the revolution. The “Rectifiers”, as the faction headed by Danilo Trujillo and Gabriela Londono is known, who were expelled from our party in 1998, underwent the same fate and were even unable to design a serious political project for the country and the masses. Today we find them in the ranks of the bourgeoisie, collaborating with its projects. * This is the term by which the members of the organization Hope, Peace and Freedom are known, a faction of the Party and the EPL in the years 1989 and 1990. In defending the ideological, political and organizational integrity of the Party, we have undoubtedly made mistakes. But we have not lost the proletarian path and that is the essential point. Many valiant people who are not with us today have passed through our Party; there are various reasons for this. We want to increase our membership, as well as the environment surrounding the organization and its presence in the political life and among the various popular sectors. The situation we have experienced, from the time of our restructuring based on Marxism-Leninism in 1965 until today, is rich in experience. It provides fundamental ideological, political and methodological elements. Many things have changed in the national environment and in the world context. Looking at things from that perspective, we must say that much remains to be corrected, that it is necessary to make updates and advances, and that the challenge today is different. It is no longer a matter of just reaffirming ourselves, or proclaiming that we exist, but of consolidating our ideological make-up, developing our ranks qualitatively and quantitatively, placing ourselves in a better and more scientific way among the masses and in the general political struggle and, finally, sharpening our tools to better confront imperialism and the bourgeoisie, revisionism and all sorts of enemies that are trying to halt the march of history. Our great challenge is still to be an alternative of power. To enhance the struggle for popular power, we need the revolutionary historical memory of our people. To grow and strengthen the quality of our party we need to recover its true history, the life and struggles of those who forged it, the battles won and the setbacks we have had to face. In this way we will unmask the false histories that are told and written about us. In this way we paint the Marxist Leninist picture that is the reason for our existence and the pillar in order to win our objectives. To mark these 50 years of communist life we want to salute the Parties and Organizations that claim this ideology and commit our efforts together with them to develop the current of thought that characterizes us. Similarly, we say to all the democrats and revolutionaries of Colombia and the world that they can count on us in the fight against the common enemy. 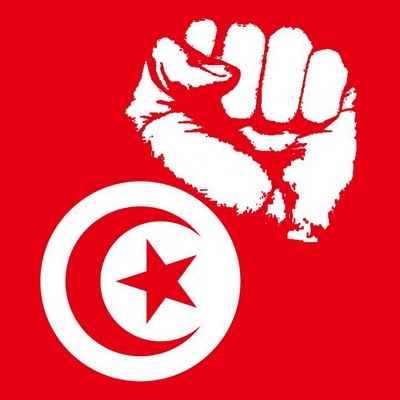 To all the cadres and members suffering in the prisons of the regime, we bring our message of solidarity and commitment to honor in combat the history of 50 years of relentless struggle. 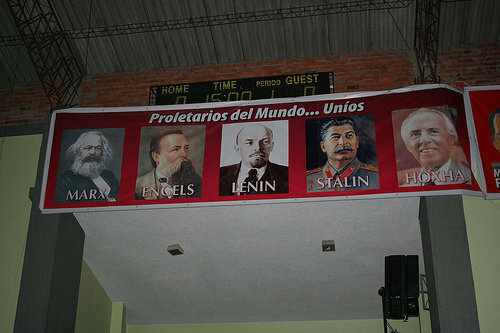 Long live the Communist Party of Colombia Marxist-Leninist!! Long live, long live, long live!! 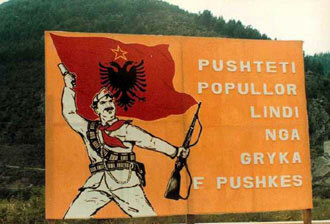 Fifty years of fighting together with the working class and the people!! The Communist Party of Spain (Marxist-Leninist) deeply regrets the death of Fidel Castro and expresses its solidarity with the government and the Cuban people in these difficult and painful moments. Fidel Castro will always be remembered as a leader who dedicated his life to the revolution that transformed the economic and social structures of Cuba, in constant struggle against the aggression of US imperialism. 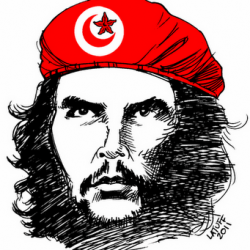 The revolution that triumphed in 1959 aroused the enthusiasm of the masses in Latin America and worldwide. The Sierra Maestra fighters made the dream of liberation craved by Cubans and Latin American workers a reality. Since that memorable date when the dictatorship of Fulgencio Batista was defeated, Cuba began a titanic struggle for national independence, economic sovereignty and liberation from the yoke exerted on the country by the United States. Literacy campaigns, nationalization of enterprises and plantations owned by US capital and the extraordinary development of education and public health brought Cuba from underdevelopment and turned the island into an example for the peoples of Latin America and the other continents. Beyond the political and ideological discrepancies, our party has always shown its solidarity with the Cuban people, denouncing the US economic blockade, the terrorist attacks of emigrants and hostile actions advocated by the Popular Party. Fidel Castro will always be remembered as the man, the leader and revolutionary who, with sacrifice and effort of all the Cuban people for his country, regained dignity and national sovereignty. His death is a great loss for the Cuban revolution, but the workers, peasants and intellectuals, all the people of Cuba will continue forward, continuing and improving its legacy. 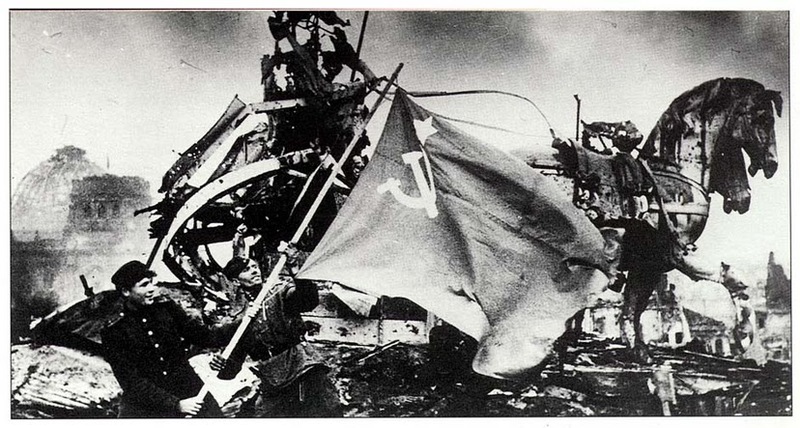 The red flags of the Communists around the world are inclined with respect to honor his memory. The Cuban land will house a man who completed the work begun by Martí. 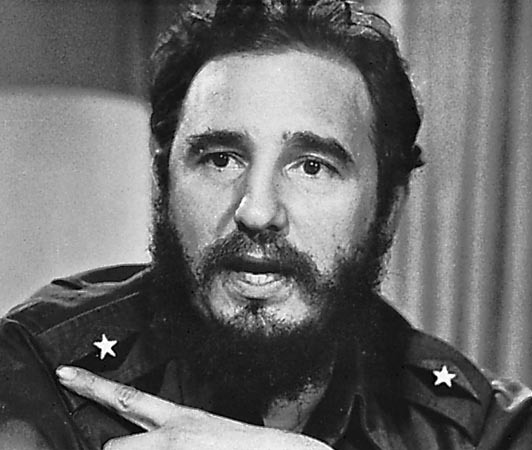 PCMLE: Fidel Castro Ruz: Comandante of the Cuban Revolution Has Died, We Honor His Memory! 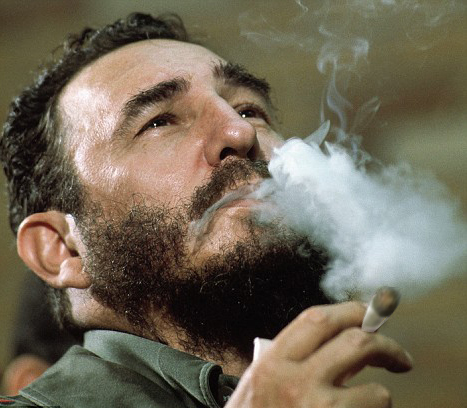 On the night of November 25, Fidel Castro Ruz, Comandante of the Cuban Revolution, has died and the Cuban people, the peoples of Latin America and the world mourn his death. Fidel, throughout his life, was an outstanding revolutionary leader, and along with his comrades such as Che Guevara, Camilo Cienfuegos and others, was at the head of the heroic process of the Cuban revolution, which confronted the aggressive designs of US imperialism, defeated the armed incursions, the plots and conspiracies that the world power financed and directed together with the reactionary circles, in an attempt to break the will of the Cuban people and their leaders. With Fidel at its head, the courageous Cuban people, with arms in hand, were able to overthrow the infamous, criminal and pro-Yankee dictatorship of Fulgencio Batista, who had handed over the Caribbean island’s resources, sovereignty and independence to the Yankees. 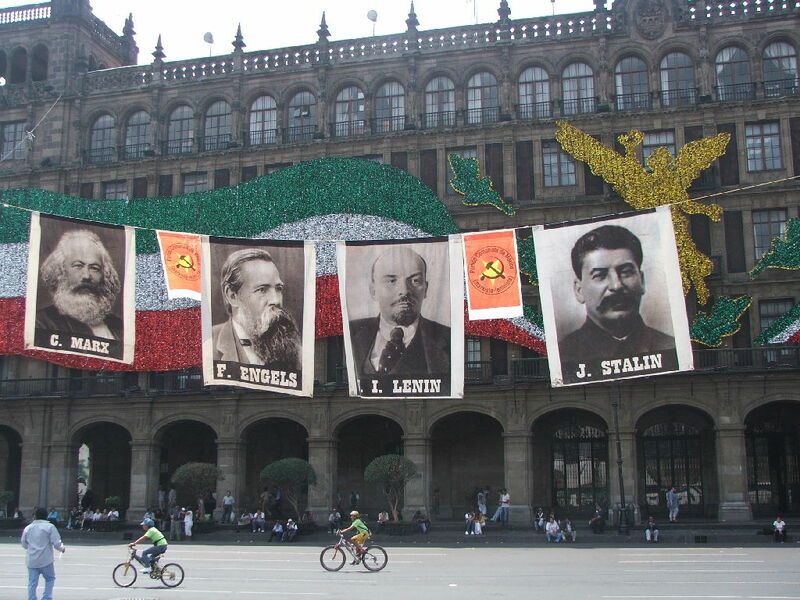 This same people, based on their unity, promoting the struggle, has been advancing in their revolutionary process that achieved important and well-known social achievements in various fields such as education, health, social security and, despite the criminal imperialist blockade, managed to rise up and maintain those achievements, which earned them the recognition and solidarity of the peoples of the world. For the peoples of Latin America, the victories achieved by the Cuban revolution have undoubtedly been an example that has influenced their anti-imperialist struggles and the struggle for social revolution. Cuba has been the example of how a small country, besieged by the major world power that has blocked it since the beginning of the revolution, was able to stand up and maintain its independence with dignity. The Marxist-Leninist Communist Party of Ecuador, its members and leaders, pay homage to the memory of Fidel Castro, Comandante of the Cuban Revolution; We express our heartfelt condolences to the people of Cuba and their leaders and we believe that all of Fidel’s courageous legacy in his revolutionary actions will be maintained and developed for the advance of their social achievements and social justice.